Presently, insured health plans include a premium tax that adds over 2% to the premium rate. This tax is part of the Affordable Care Act. With the passage of HR195, the Health Insurance Tax will be suspended for 2019. The Affordable Care Act contained what is often referred to as the “Cadillac Tax”. The tax was originally scheduled to be implemented in 2018. It would result in a 40% excise tax for health insurance plans with annual costs in excess of $10,200 for single coverage and $27,500 for family coverage. The tax would be paid by the plan sponsor. This tax was delayed to 2020 and now, as a result of HR195, it is delayed until 2022. Manufacturers of medical devices were set to be subjected to a 2.3% tax on their products. Again, this tax was part of the Affordable Care Act. The passage of HR195 delays the start of this tax for 2 more years. The new tax law (signed on December 22, 2017) eliminated the individual health insurance mandate penalty starting in 2019. The employer mandate for Applicable Large Employers (generally companies with 50 or more full-time equivalent employees) and the 1095 reporting continues unchanged. Employers should be aware of the evolving applicability of existing ACA taxes and fees so that they know how the ACA affects their bottom lines. R&R Insurance Services will continue to keep you informed of changes. Read here for a more comprehensive list of these current updates. If you have any questions, feel free to contact a Knowledge Broker at 800.566.7007. Last Saturday, the U.S. Senate passed their version of a tax reform bill, the Tax Cuts & Jobs Act. The bill is not yet finalized. While the Senate and the House have passed similar tax reform plans, negotiators from both chambers need to develop agreement on a single piece of legislation that both chambers must approve before it is sent to the President for his signature. One component of the Senate Bill that is not in the House Bill is regarding the Individual Shared Responsibility Payment (aka “Individual Mandate”) provision of the Affordable Care Act (ACA). If the Senate Bill provision makes its way into the final version of a tax reform bill, the Individual Mandate Tax would be set to zero dollars. However, all other ACA-related taxes would remain intact including the “Employer Mandate” (discussed here later). It’s that time of year again. ACA Employer Reporting (IRS Forms 1094-C and 1095-C) is still required. For what it’s worth, none of the discussions involving ACA repeal/replacement/repair mentioned the elimination of reporting. This required reporting will be alive and well for some time. The Individual statements for 2017 must be furnished by January 31, 2018. IRS returns for 2017 must be filed by February 28, 2018 (April 2, 2018, if filed electronically, since March 31, 2018, is a Sunday). R&R has updated our Employer Reporting Tool for 2017 which will generate the required forms in PDF format (paper filing allowed by IRS for less than 250 forms). The IRS began to issue assessment letters last week informing employers of their liability for 2015 calendar year penalties. These letters will have a response deadline of 30 days from the date the letter was written. 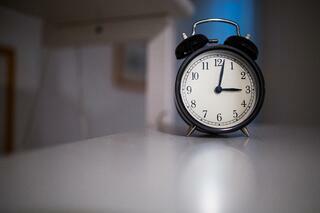 Timely response is crucial to maintain your appeal rights. Read more here regarding sample letters and the processes involved. No more “Reinsurance Fees.” The ACA’s “Reinsurance Fees” were imposed for 2014, 2015, and 2016 only. The 2nd (last) installment payment for 2016 was to be made by November 15, 2017. One more round. The PCORI fees continue to apply but are scheduled to sunset. The PCORI fees will no longer apply beginning with plan years ending on or after October 1, 2019. “HIT” Restart. The ACA’s Health Insurance Tax (HIT) is a permanent, annual fee on health insurers that began in 2014. It was suspended for 2017 as part of the 2015 Budget Act but will restart for 2018 collection and payment. The traditional insurance market continues to be further challenged by innovative self-funding and level-funding arrangements which also have the advantage of being exempt from the ACA’s “HIT” (3.5% - 5% of premium). Simplified…almost. On October 6, 2017, the DOL, HHS and the IRS issued two interim final rules expanding certain exemptions from the ACA’s contraceptive coverage mandate. As a result, objecting employers are no longer required to choose between direct compliance and compliance through the accommodation. A plan sponsor, issuer and plan covered by these exemptions will not be penalized for failing to include contraceptive coverage in the plan’s benefits. Note that fully-insured policies will most likely need to file policy riders as appropriate once the rule is final. For 2017, the out-of-pocket maximum is $7,150 for self-only coverage and $14,300 for family coverage. For 2018, the out-of-pocket maximum is $7,350 for self-only coverage and $14,700 for family coverage. Under the proposed rule, the out-of-pocket maximum would increase for 2019 to $7,900 for self-only coverage and $15,800 for family coverage. Who doesn’t want more flexibility? The same proposed rules would allow states more flexibility in their options to select a new EHB-benchmark (Essential Health Benefits) plan on an annual basis beginning in 2019. This would provide more plan design choices for the small group market (less than 50 employees in Wisconsin). Off the table for now. The HIPAA certification requirement is delayed indefinitely, pending guidance from HHS as on October 4, 2017, HHS withdrew its proposed rule in order to reexamine the issues and explore options and alternatives to comply with the HIPAA certification requirement. This would apply to all self-funded plans including medical reimbursement HRAs. Back to the drawing board. 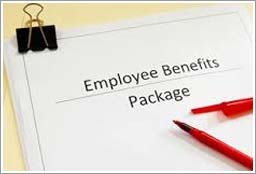 The EEOC’s (Equal Employment Opportunity Commission) “final rule” regarding “voluntary” wellness incentives turns out to be not so final after all as it has been challenged by the courts to revisit its position regarding the definition of “voluntary.” The current rules were not “vacated” by the courts so the EEOC guidance should still be complied with. Stay tuned. That’s an order! Several weeks ago, President Donald Trump signed “Presidential Executive Order Promoting Healthcare Choice and Competition Across the United States.” The executive order directs federal agencies to expand access to MEWAs (Multiple Employer Welfare Arrangement), HRAs and short-term, limited-duration insurance. More will follow on this as the agencies’ deadline to draft proposed regulations is December 11, 2017. Coming home? Even without a “repair” or “replacement” of the ACA, it is anticipated that there will be a number of states that will apply for Section 1332 State Innovation Waivers. This has been discussed recently for consideration in Wisconsin by the Office of the Commissioner of Insurance. The disruption and turbulence in the employee benefits market will continue. For now, the Affordable Care Act remains the “law of the land” and requires much in the way of compliance for which we have the knowledge, resources and experience in helping our clients. R&R continues to monitor discussions at the federal and state levels with respect to legislative changes that will impact employee benefits. As always, do not hesitate to contact your R&R Benefits Consultant with any questions or concerns. On May 4, 2017, members of the U.S. House of Representatives voted along party lines to pass an amended version of the American Health Care Act - proposed legislation to repeal and replace the ACA. The AHCA will now move on to be considered by the Senate. Click here to download the ACA Compliance Bulletin - which provides an overview of the proposed legislation and its potential impact going forward. Quite often, I’ll get questions from employers wondering what impact the ACA will have on worker’s compensation. A recent study by the Worker’s Compensation Research Institute (WCRI) helps shed some light on what employers can expect. It’s not encouraging news. According to the recent WCRI study, hundreds of millions of dollars in insurance claims nationally could shift from health insurers to worker’s compensation carriers. The concept is simple. The Affordable Care Act encourages health providers to form Accountable Care Organizations that shift payment from a traditional fee-for-service model to capitated or pre-paid health insurance. 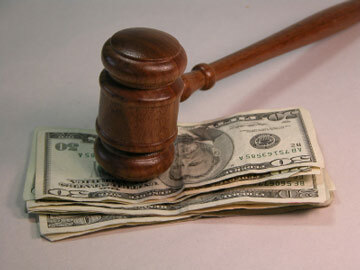 As you know through experience, most worker’s compensation treatment is based on fee-for-service. The study suggests that providers may, in some cases, have a financial incentive to categorize an injury as being work-related. In States like Wisconsin and Pennsylvania where a large percentage of workers are enrolled in capitated health plans, this case shifting could be significant. If you would like assistance with evaluating your current worker’s compensation policies and procedures to see if there are ways to strength your program, please contact me. 82% of mid-to-large size employers surveyed in a recent Towers Watson survey will continue to view health care benefits as a key element of their employee’s compensation in 2014. Despite the impending Obamacare mandates and ACA excise tax - known as the Cadillac Tax - employers continue to value health insurance benefits. As employers move forward they will be looking to keep their plans affordable and viable - maintaining a sustainable plan amidst cost increases (5.2% increase projected for 2014). Full article on Towers Watson survey results. 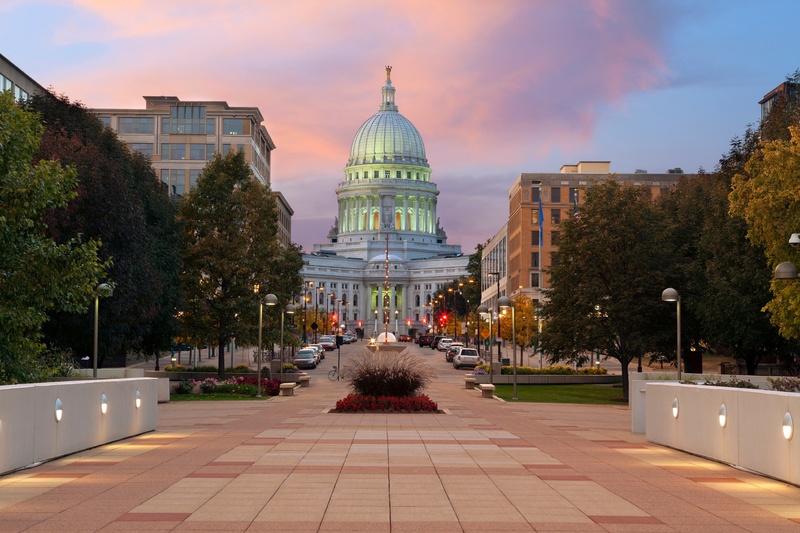 Wisconsin based employers are considering a self-funding approach or adding additional voluntary benefits such as dental, vision, life insurance and disability insurance to offset any changes they may be implementing. We've always known that offering quality health insurance coverage is a critical part of remaining competitive in today's talent marketplace. This news is just a reiteration of what I am seeing on the street when I talk to my customers and prospects. Smart, educated decisions moving forward will help curtail any pain PPACA might inflict. For Wisconsin employers interested in self funding options or voluntary benefits for their plans, please contact me. The IRS has issued a revised Form 720 (Quarterly Federal Excise Tax) that now includes a section for reporting the Patient-Centered Outcomes Research Institute (PCORI) research fees, also called the Comparative Effectiveness Research (CER) fees. 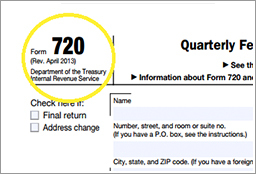 The PCORI fee is listed in Part II of the form, IRS No. 133. The first due date of these research fees (for some employers) was July 31, 2013. The Affordable Care Act (ACA) includes a "research fee" that plan sponsors, including HRA plan sponsors, must pay on an annual basis. The research fee is referred to as the Patient-Centered Outcomes Research Institute (PCORI), or Comparative Effectiveness Research (CER) fee. The ACA imposes this fee on insured plans and self-insured health plans, including HRAs. The research fee is temporary; it applies to plan years ending on or after October 1, 2012 and before October 1, 2019. Applicable employers are required to report and pay the PCORI research fees annually via Form 720, due by July 31 of each year. For more information about self-funding your health insurance plan, health care reform or basic employee benefits questions, contact knowledgebroker Les Kitzman.